Arrive in shanghai, the financial and commercial center of China. You will be met your guide and be transferred to Suzhou. Upon arrival in Suzhou, take a private transfer to visit the couple’s Garden Retreat. After the Garden tour, enjoy a few minutes’ walk to the Qilishantang. The first day concludes here and you will be transferred to the hotel in Suzhou. After enjoying breakfast, you will be transferred to Hangzhou in about two hour’s drive. Upon arrival, be refreshed and start your exploration of Hangzhou first with a visit to the West Lake, a popular UNESCO World Heritage Site. Then move to the nearby China Silk Museum. After lunch, be transferred to Xixi Weland in about three hour’s drive. Upon arrival, take visit to the Xixi Weland. Afterwards, take a private transfer to SongCheng eternal love Scenic Area and watch SongCheng eternal love fantastic show. After dinner, take private transfer back to your hotel. After breakfast, head out to Chun An Wharf. 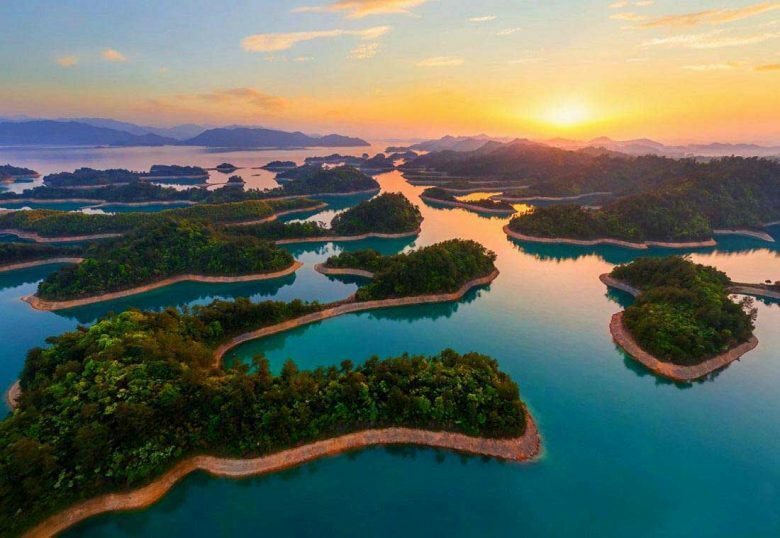 Upon arrival in Chun An Wharf, pay a visit to the Thousand island lake Scenic Area and have lunch there by Self-catering. In the afternoon, drive to Liyang Street in about 3 hours. Upon arrival, spend some free time at your own arrangement in LiYang Street.After the visit, enjoy your dinner and then be transferred back to the hotel in Huangshan. After breakfast, head for the Huangshan Mountain, cable car which is arranged to take you uphill. 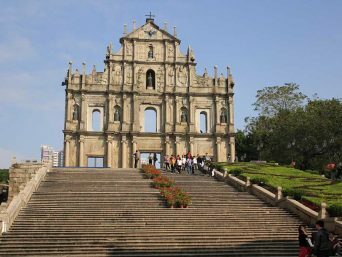 You will drop by multiple sites such as the lofty Brush Pen Peak, then tour Begin– to–Believe Peak, The majestic Lion Peak, and the Xihai Grand Canyon. 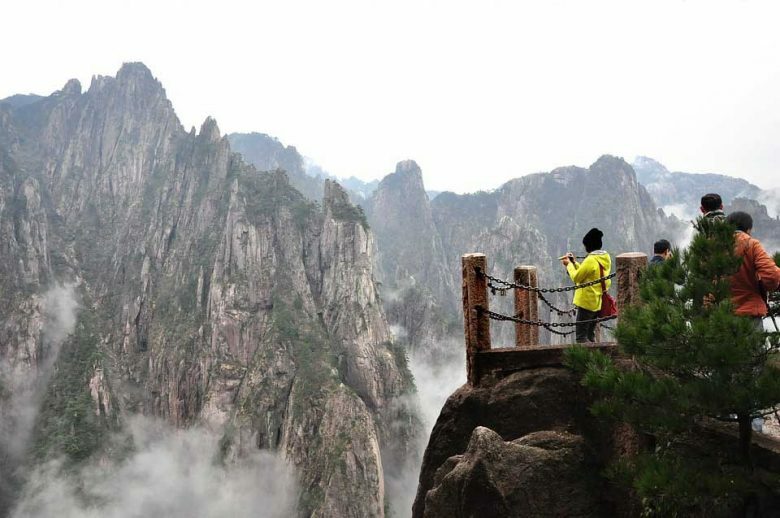 Huangshan Mountain is famous for its beautiful landscape granite peaks, sea of clouds, and special pine trees. After a long time visit, it’s time to have lunch and take a short break. Your guide is always willing to give you recommendations of the best local cuisines and restaurants. 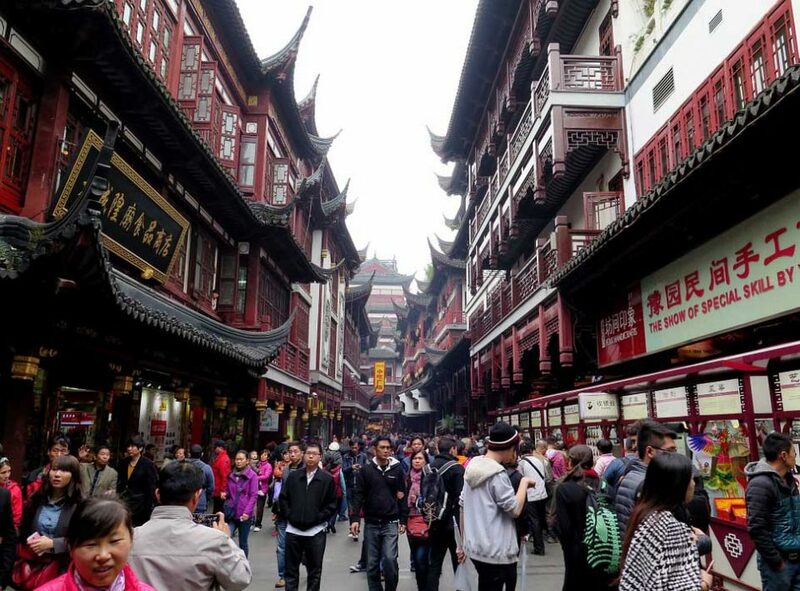 In the late afternoon, you will have free time at your own arrangement in Tunxi Street. After breakfast, enjoy your transfer to Wuzhen Water Town in about 3 hours. 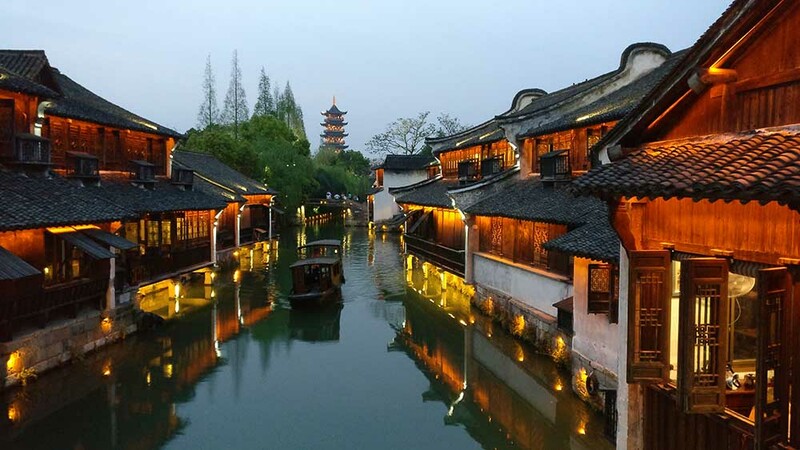 Upon arrival, you will be free at your leisure in Wuzhen scenic town, while lunch and dinner for self-catering. At the end of the day, return to your hotel and have a good rest. Tonight, you will live in Wuzhen Water Town and you will enjoy the beautiful night life of the town. Meet your guide at your hotel lobby and take a private transfer back to Shanghai. 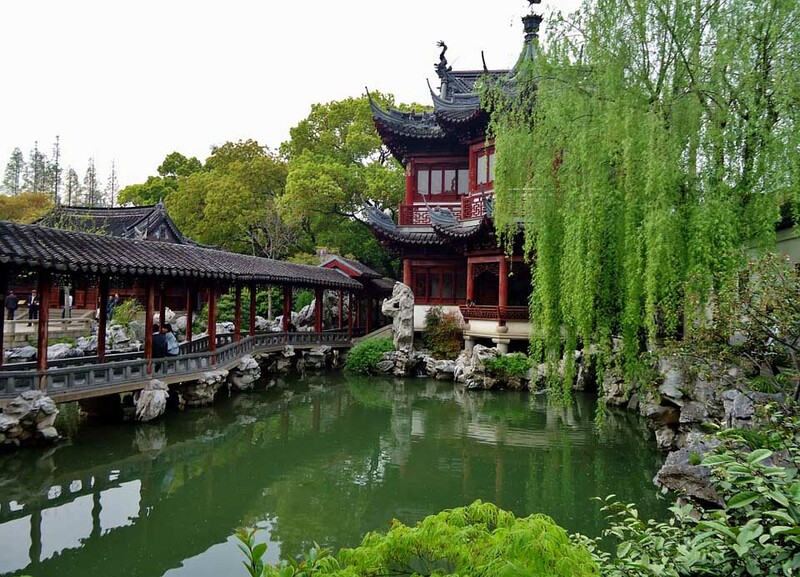 Upon arrival in Shanghai, start exploring of Shanghai first with a visit to the Yuyuan Garden, where you can marvel at the stunning views of the garden. Later, enjoy a local experience by strolling around the nearby Chanchiang Miao Bazaar. You can try to act like locals by way of bargaining with the shop owners to get some fun and cute local crafts and also you can eat local delicious snacks there by yourself. Alter lunch, take a walk through Nanjing Road, the busiest shopping area in the metropolis or even across the whole of China, take a walk at The Bund, the most prestigious landmark and bestpreserveddemonstration to the glamour of the old Shanghai.The next stop is Shanghai Museum, a massive museum housing over I40, 000 pieces of artifacts, and displaying the artifacts, and displaying the history and cultural scene of Shanghai. Enjoy your breakfast at the hotel. You will be escorted by your guide to the airport for your home departure flight. Marking the end of your tour. PRICE: Not valid during China’s Official Holidays such as National Day – 01 to 07, Oct, Chinese Spring Festival etc.